Campus Visits and College Interviews from The College Board teaches you how to get the most out of your campus visits, and get the stress out of your college interviews. 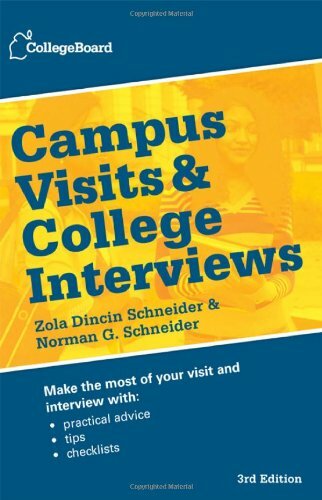 Updated to give the pros and cons of college Web sites and “virtual visits,” and reformatted with easy-to-use charts and checklists, this quick and handy guide will help you get the right impression during your visit and make the right impression during your interview. It tells you the best times to visit; what to look for while you’re there; what questions to expect during your interview; what questions you should ask; and more.